In addition to disbursing a portion of the Church budget to various charities, both locally and abroad, the Outreach Board also administers two scholarships for college students, oversees the Dolly Fisher Fund and the Christmas Angels program, and informs Church members about volunteer opportunities (Habitat for Humanity, WindowDressers and the Hancock County-Wide Food Drive are examples). We also hold various collections throughout the year for those in need. 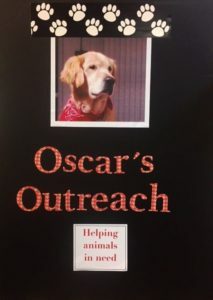 Oscar’s Outreach, named after the Rev. J. Gary Brinn’s golden retriever, is our ongoing pet food collection, and we collect donations for the Tree of Life food pantry on the first Sunday of each month. All of these programs rely, in part, on financial support from the community. Contributions are always welcome, appreciated and tax-deductible. To donate to the Dolly Fisher Fund or Christmas Angels, please make your check payable to First Congregational Church of Blue Hill, and indicate the program name in the memo. Please mail to P.O. Box 444, Blue Hill, ME 04614. To donate to Simmering Pot, The Tree of Life Food Pantry, or Peninsula Free Health Services, please contact those organizations directly. 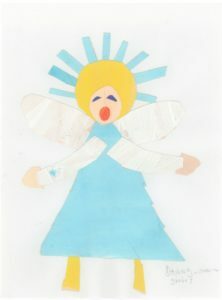 The Christmas Angels program, originally coordinated by Four Town Nursing, was adopted by the Church in 1989. 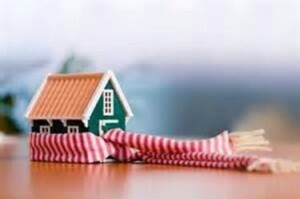 The program provides gifts of warm clothing to children in need who reside in Blue Hill, Brooklin, Brooksville, Castine, Penobscot, Sedgwick, Surry, Orland, Deer Isle, and Stonington. Coordinated through our Church, the program depends on the generosity of individuals, clubs and businesses all over the peninsula who shop for children and donate financially. Each Angel (volunteer shopper) is provided with a detailed list of a child’s clothing wishes including age, size and any specific needs. Individuals can shop for one or more children, and clubs or businesses are encouraged to organize a team to shop for one or more families. Distribution of gifts is in early December. To learn more about Christmas Angels, contact the Church office at (207) 374-2891. Founded in 2008, The Dolly Fisher Fund is named for the wife of our Church’s founding minister. The Fund is dedicated to providing fuel, food and utility help for households on the Blue Hill Peninsula, and informing the public about other available resources. Provides #1 (kerosene) or #2 fuel oil, propane, pellets or firewood from area dealers. Prevents disconnection of utilities by Emera or CMP. Issues food vouchers for Tradewinds. Makes referrals to other community resource services. Offers a listening ear, encouragement, and a church family. The Fund greets requests positively and with a “can-do” attitude. Even if it cannot meet a specific request, the above options will often help the situation. The Fund’s Administrator, a member of the Church, strives to maintain confidentiality at all times. The Dolly Fisher Fund Administrator can be reached at (207) 412-8072. The phone is monitored Monday-Friday, except on holidays, and a return phone call will be made within 24 hours. Peninsula Free Health Services provides basic acute health care, screening, and referrals for the uninsured, as well as help with signing up for the Affordable Care Act (ACA). The Clinic first opened its doors at our Church in 2013, and is now located at 26 Hinckley Ridge Road in Blue Hill. Please visit their Facebook page or call 374-5585 for hours of operation. Peninsula Free Health Services is under the umbrella of the Waldo-Hancock County Association. In 2009, Blue Hill resident Hadley Friedman founded The Simmering Pot, and it has been housed at the Church from the beginning. Simmering Pot is a non-profit entity under the umbrella of ROSC (Resources Organizing for Social Change). It provides a weekly wholesome and nutritious meal, free of charge to anyone, regardless of income, in the Blue Hill Peninsula community. Ingredients are sourced as locally as possible, supporting local farmers. More than one hundred dinners are served each week. On the first Monday of each month, volunteers from Blue Hill Memorial Hospital generously prepare the dinner. Meals are served in Jonathan Fisher Hall at the Church, Mondays from 2:30 to 6:00pm year round, except major holidays. All are welcome to eat in or take out. There is never a charge, but a donation basket is available. Donations from individuals and businesses help sustain the program. If you would like to volunteer with preparing, serving or cleaning up, please contact Mary Hildebrand at (207) 664-9661, or Paula Mrozocki at (207) 664-8372. The food pantry was founded in 1987 by the Church, and the thrift shop was added in 1990. After being housed in a few locations, and a change of name, the Tree of Life Food Pantry and TurnStyle Thrift Shop have been at their current location on South Street since 1994. Food is given free of charge to citizens from the eight towns on the Blue Hill Peninsula: Blue Hill, Brooklin, Brooksville, Castine, Orland, Penobscot, Sedgwick and Surry. No one in need of food is turned away. Currently over 1,300 families are registered. About 220 families come in for food each week. The Tree of Life purchases food from the Good Shepherd Food Bank of Maine, and from various wholesale food companies or stores. Donations of food may be delivered to the TurnStyle during open hours, or to the Food Pantry on Thursdays from 8:30am to 3:30pm. All food is received and stocked by volunteers. Sale of good quality used clothing at the TurnStyle is the primary source of funding for the Food Pantry. Donations of used clothing arrive daily and are sorted by volunteers. Only clean, quality items are for sale, at low prices. Volunteers help shoppers select items for men, women and children.